With increasing market in the mid segment mobile phones. More and more companies are making a move towards that way. Now one can find large number of mobiles with excellent features in range of 15000-25000. HTC Desire 500 is the new entry in the mid range smart phones. With the flagship name desire this is a new model from HTC. As far as HTC Desire 500 specs are considered they are equivalent to HTC Desire X. But still there are few changes. 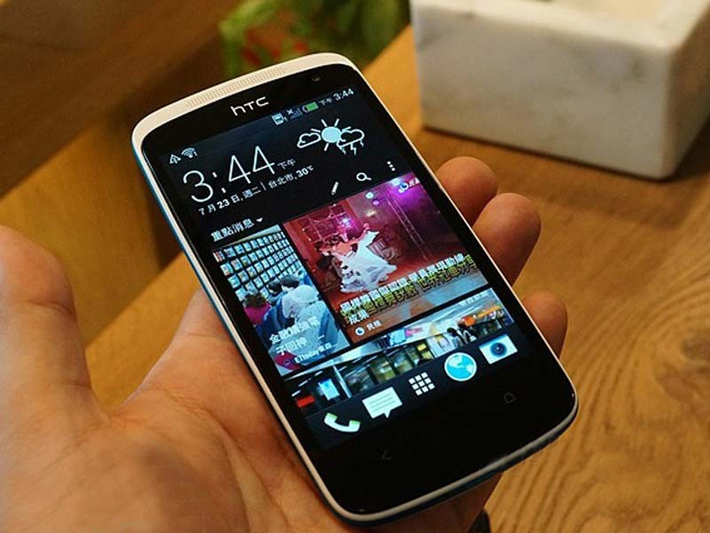 There is no dual SIM feature but still you get a solid quad-core processor and latest HTC Sense UI 5.0. In this article we will provide you HTC Desire 500 full phone specifications, pros and cons and its price. Here are the full phone specifications of HTC Desire 500. 4.3 inches TFT capacitive touch screen. Some Extra features of HTC Desire 500 : Wii Fii. Bluetooth v 4.0. 3.5 mm audio jack. A-GPS. FM radio. Proximity and accelerometer sensor. Price: HTC Desire 500 price is about 21500 Rs. From HTC Desire 500 specifications you can say that phone is a compact phone with most of the features. Here are some pros and cons of the HTC desire 500. Good processor. With quad-core processor one can perform most of its tasks easily. Out of 4 GB inbuilt storage only 1 GB is available for the user. No full HD video recording for rear camera. Verdict: After going through all the specification, pros and cons of HTC Desire 500 you can get an idea about the phone. This is a good mid segment phone. One can enjoy all the features of android 4.2.2. With a fast processor one can run most of its applications without any lag. Previous articleNokia Lumia 1020 full phone specifications, camera features, pros and cons and price.